The Best Hostels in Prague Are Calling. Yes, You’re Going to Need Sleep. Yup, it’s time to talk about Prague again – some of the best hostels in Prague, that is. The city has a reputation for being beautiful, lively, rugged, rowdy at night, and romantic – all at once. It’s no wonder it draws in so many visitors each year. Whether you’re backpacking solo or travelling with your partner or friends, a hostel is a great option to make the city even more affordable. We should know – we’ve stayed at over 27 hostels all over Europe! Staying at a hostel in Prague, however, can be tricky because there are quite a few to choose from. You can find the best hostels in Prague for solo travellers or the best party hostels in Prague – these places dot the city centre and the outer neighbourhoods (districts). Many of them offer great facilities, have amazing staff, and an amazing location – but a few hostels are a cut above the rest. Here is a short list of some of the best hostels in Prague based on personal experiences, great references – and even official awards. For the wild and crazy party hostel – Click Here to Book The MadHouse Prague. For the boutique hostel experience – Click Here to Book Sophie’s Hostel. For a relaxed vibe with fellow travellers – Click Here to Book The RoadHouse Prague. For the family-friendly experience – Click Here to Book Hostel & Pension Downtown. For the all-around great experience – Click Here to Book HostelOne. If you want a little more explanation about the hostels, then continue on for the stories and the descriptions of the different places. We’re confident that we’ve outlined a variety of Prague hostels that cater to the needs of different travellers! However, if you’re looking for a hotel in Prague, check out our post on some of the best hotels in Prague for all budgets. Also check out our one day itinerary for Prague in case you are just passing through! As for hostels, the ones below are in no particular order – we just needed a number to make it easy for you to find them on the map! You can click through to Hostelworld in each section to compare the reviews, prices, and photos – and to see which one works best for you! We recommend The MadHouse Prague which is great for finding a traveller’s community full of laughs and drinks. Yes, Eric stayed here but this isn’t even an inflated review. The MadHouse was literally voted the best Hostel in the Czech Republic for 2017. Canadians run the hostel – shout out to Kraig, Jenny, Rod, and Noah – and do a great job bringing travellers together from all over. The MadHouse is located steps from public transit and walking to all the classic sights in Prague 01 is very easy from the location. It truly is one of the best atmospheres that any hostel has created from a group of 40 strangers. Eric stayed there for the first time in the summer of 2015 and liked it so much he flew back to Prague weeks later just to stay again! The MadHouse has four dorm-style rooms that are all uniquely decorated by talented graffiti artists. “Family Dinners” are a must at the MadHouse. The staff cook up communal meals in a great kitchen that’s open for guests to use. You get a home-cooked meal to share with friends around a table. After dinner, the kitchen becomes the pre-drink area and the table is converted into the beer pong table. The social fun continues until the staff take you out to the best bars and clubs in Prague. There is always a day activity planned so you see the best of Prague’s sights. Relaxing is easy at The MadHouse. There is a theatre-style TV lounge that’s made for maximum comfort with bean bag chairs and a shelf full of movies. There’s wifi throughout and free desktop computers for guests to use. The MadHouse still has people staying during the “off-season” winter months. If you’re heading to Prague in the summer – stop reading this and go to Hostelworld right now and book a night. There’s a chance May-August is already booked solid! Did we mention there’s a free beer when you check-in?! Sophie’s Hostel is the gem in New Town that’s clean, chic, and within walking distance of all the major sights in the Old Town. There’s a variety of traditional pubs and hip bars in the area of Prague 02. This means that it’s only a 5-minute walk to Wenceslas Square. The hostel is great if you are not looking to stay at a party hostel, such as the Madhouse mentioned above, but still want to enjoy a drink and a great atmosphere. The rooms range from dorm style to private rooms and even apartments with kitchens. There’s also an onsite bar area for mingling and grabbing a well-deserved drink after a long day of exploring. Facilities offer guests a kitchen for those who are not staying in an apartment and a 24-hour reception. You can enjoy a daily all-you-can-eat breakfast buffet in the café bar for an additional fee. There’s internet throughout that’s free to use. Sophie’s prides itself on having a friendly, international staff that can speak your language at any time of the day. If you’re flying into Prague and don’t want the hassle, Sophie’s offers an airport pickup and drop off for a fee. 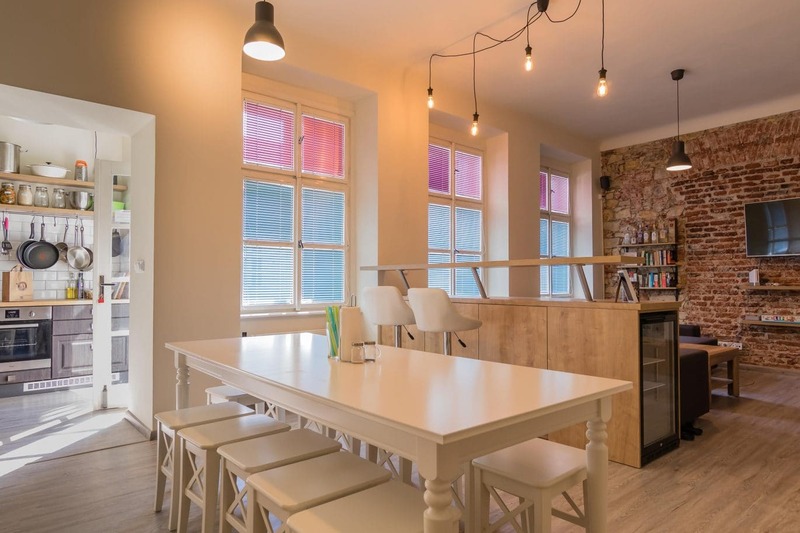 Sophie’s is a great hostel for couples looking to get away in Prague! Check availability at Sophie’s Hostel here. Read More – Things to Do and See in Prague! The RoadHouse Prague is for you if you’re looking to connect with other travellers but want a more relaxed and mature atmosphere. It is the second project of the crew that brings you the MadHouse. They consider hosteling a lifestyle that can bring people together – and they won a bunch of amazing awards in 2019 like Best Facilities, and Best Small Hostel in Europe and the Czech Republic! The RoadHouse has a buzzing social atmosphere similar to the MadHouse. Staff members organize daily activities to help foster and build community. These include local events and walking tours to visiting wine bars and pubs in the local neighbourhood. “Family dinners” are a regular occurrence here as well! Facilities are still very new. This means the rooms, the bathrooms, the kitchen, the living room, and patio are all in perfect condition. The rooms are all dorm style with brand new bunk beds that have a plug and a curtain for privacy. An international staff is there to give you local knowledge from where to grab a beer to where to grab a haircut! They can be reached 24 hours a day – but often times you’ll already be hanging out with them. The Roadhouse is like staying with a bunch of friends. Book the RoadHouse Prague on Hostelworld before it fills up! It has an almost perfect rating on Hostelworld. It’s that good. The Hostel Downtown, as it’s called, is only 800 metres from the Old Town Square in Prague 01. Národní Třída Metro Station is only 300 m from the hostel’s location. Attractions like Lucerna Palace and the other top sites within a 10-minute walk. 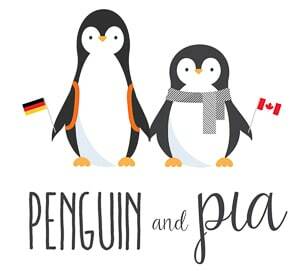 The hostel is well suited for all kinds of traveller looking for a safe place to stay in Prague – and it’s important to note that the hostel is also kid friendly! Their dorm-style rooms and private accommodation feature WIFI throughout the hostel that’s free to use. All of the rooms have simple furnishings and modern private or shared bathrooms. They are colourfully decorated and come with storage lockers and bunk beds with linens. Towels are available for a small deposit. Hostel facilities include a communal kitchen and lounge with computers. There are freebies offered like tea and walking tours. The staff also organized regular events (often free of charge) that you can sign up for if you are interested. Breakfast buffet, snacks, and beverages are for a fee. The knowledgeable staff are there to help you 24 hours a day. The reception is even open around the clock as well. Hostel Downtown is highly ranked regarding value for money on sites like Booking.com. You can check to see if Hostel Downtown has space for your trip dates. HostelOne Prague is another one of those places known for its atmosphere of friendly travellers. Prague 03 is also a great choice for travellers who are interested in history and monuments, beer, and food! The hostel is located very close to public transportation but just a short walk from lots of great restaurants, pubs, and bars. The park at Vitkov is very close by and the city centre is reachable on foot in about 15 minutes. There are lots of dorm style rooms with shared bathrooms, single beds, and bunk beds. HostelOne also has one apartment with a separate bedroom and living room. Some rooms even have a balcony and there’s wifi throughout the hostel that’s free to use. The huge communal kitchen is ready to use – but the awesome international staff often cook communal dinners for guests! A communal living room has all the comforts of home. HostelOne’s property even has a terrace and a garden with a barbecue! If HostelOne sounds like your place, then check Hostelworld to see if your dates are available! And there you have it – some of the best hostels in Prague! Have we got you excited for your trip yet? Be sure to have a look and book your stay soon to avoid disappointment. A good hostel that meets your needs can be the difference that takes your experience from good to life-changing. Trust us, we speak from experience.